Simply incredible! The legendary 02 Series is turning fifty. 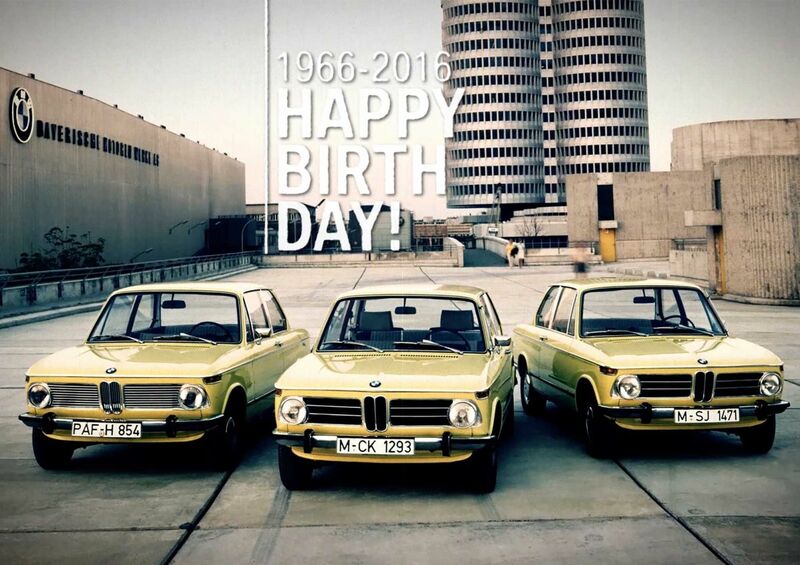 And it is celebrating it in style at the Techno Classica. There’s absolutely nothing old about it though. It is still tremendous fun, just as it always was. It was the benchmark of its class. A dream, but an affordable one. We wish it a very happy birthday and bow down in awe. Come back in time with us to the year 1969 and let us go to a BMW showroom together. You seem to be drawn to the BMW 2002 ti, am I right? Congratulations – a very good choice. Only been on the market for a year and is already very successful. You would like it in bright orange? Always good to stay ahead of the times then; dark colours are dangerous, there are even rumours of a ban. Why is this ti more expensive than the other, you ask? Because it comes from Alpina, a small company from Kaufbeuren in Bavaria. But you’re right, it doesn’t look any different from the other one. How do I put this...? It’s just more...special. 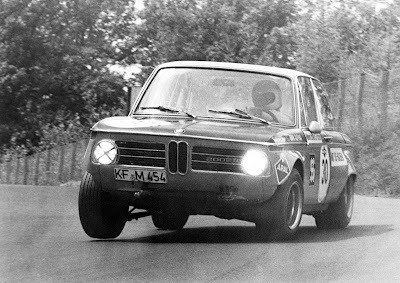 Alpina also supplies the engines for their factory cars, which have just helped BMW win the 1969 German Rally Championship for the third time, but that was no big surprise. I’m sure it’ll happen again in 1970, but we’ll just have to wait. You can’t see into the future. Go ahead and open a door. Yes, those are Recaro sports seats, you don’t have to get them, but they have been tried and tested and give you the extra side support you need. That tube is a roll bar but, as I say, it all depends what the client has planned for their car. Are you looking for more than a way to get to work, perhaps some rallies at the weekend? You could be in with a good chance. I’d suggest some auxiliary headlamps. And of course, a suspension kit with ventilated discs, Bilstein shock absorbers and stabilisers. Fancy wheels, fat tyres, safety belt? You can order everything from us and we provide a full warranty. Did you used to have to put together your own car, so to speak? No, not with Alpina you didn’t. All you need to do is tick the boxes. I think it’s time for a little test drive now. Pull on the choke – the engine is still cold. The indicator lever is on the right, it’s typical BMW. Don’t worry – you soon get used to it. The view from inside is amazing, the roof pillars are thin, the bonnet and boot are in sight – that’s a 02 series for you. The three-spoked racing steering wheel in this series is a little smaller and fits comfortably in the hand. It’s fantastic to be surrounded by all these classic cars from 1969, isn’t it? Slowly now. Wait until the people at the lights have got their act together. You can run rings around other people in an Alpina. It goes like nobody’s business. 160 bhp. The vehicle weighs less than a tonne. It’s a good idea to get a headrest – they are now a legal requirement in the US. Forged pistons, different carburettor, larger oil sump. Lots of attention to detail – fine-tuned to perfection. But that’s a given. Seven seconds from zero to a hundred km/h. Seven. You’re right; a Ferrari can manage that too, but do you know anybody who has one? Your brother-in-law drives a Porsche 911? Not bad at all – a fantastic car. But unfortunately, it takes a whole second longer to get to a hundred. Yes, even if it has an “S” on the back. It only catches up if the top is down. You can’t do anything about aerodynamics – as a coupé it slices through the wind much easier than your car. But, there is enough space for your kids. And Auntie Judy. And luggage. You can use it for your holidays – you couldn’t do that in a 911. He would need a Mercedes 300 SEL 6.3 – a similar competitor – to stand a chance at keeping up. But it costs double – how many do you think you will encounter? No, there is no third type of vehicle that could keep up, at least not one from Germany. Can I assume from that smile on your face that you want to place an order? Sorry, but I need to wake you up – 1969 was a long time ago and orders are no longer being accepted. But that is how a sales pitch back then may have looked. What Alpina conjured from this small BMW was nothing short of sensational. If everybody is driving the same car, what you need is a handsomely tuned model. They may not look much different to the others from the outside, but no one will expect what they are capable of. It will steal the limelight from its siblings and leave astonished faces in its trail. 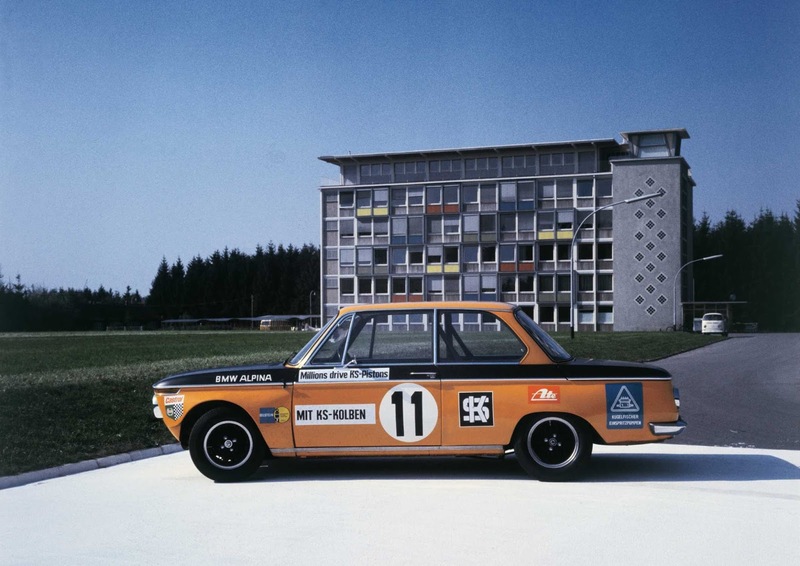 A superior saloon like the BMW 2002 ti doesn’t need any more tuning, you say? You’re right up to a certain point. But why would Alpina make so many people weak at the knee? Not least racing and rally drivers. There are several reasons. First, of course: their sheer power. 150 or 160 bhp in a car that weighs less than a tonne provides for acceleration that would have left people gawping in amazement back in the late 1960s. Seven seconds to 100 km/h with a top speed of 211 km/h. There would be very few cars on the road that would be able to keep up. Testers spoke of a “powerhouse”, the “Bavarian bomb”, the “race horse”. And this sports car, with its sleek sedan body, was also even suitable for everyday driving; never a hesitant throttle response at low RPM or any overheating problems in city traffic. Jump in and hit the road: no need to adjust. With its sophisticated sports chassis, it was also described as exceptionally well-tempered and easy to drive. Did that mean it was hard sprung or even uncomfortable? No, not at all! A look at the old test reports shows that the opinions were strikingly unanimous. The obvious increase in power did not come at the expense of usability. Alpina managed to pull off the amazing feat of seamlessly combining sport and everyday use, the family excursion and Dad’s motor sporting ambitions, into one car. In essence, they came very close to achieving the perfect automobile here. At any rate, that was the case for all those who took pleasure in these cars and those were more than a few. 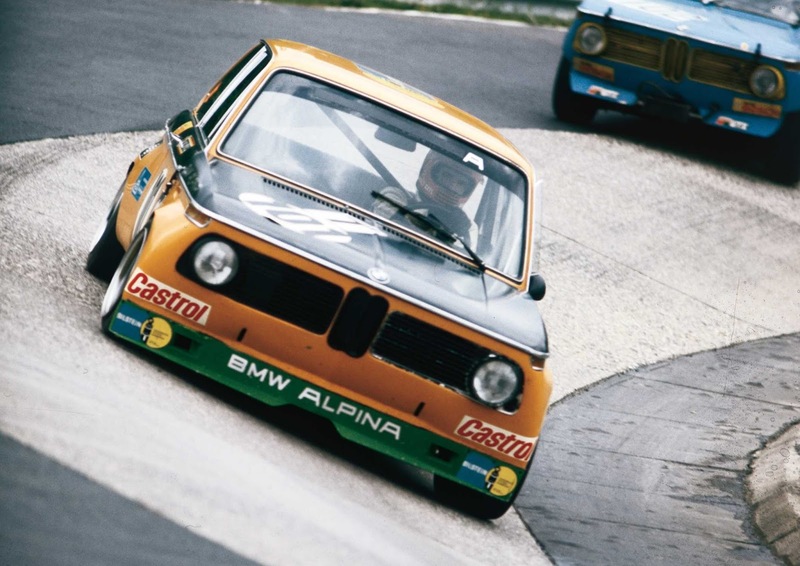 And Alpina, under boss Burkard Bovensiepen, also got on extremely well with the manufacturer of its “main product”, which not a lot of tuners managed to pull off. Alpina even built motors that BMW used very happily and very successfully for its works teams in touring cars and rally sports. There was close cooperation and the BMW affiliates distributed and performed maintenance on Alpina BMWs. All of which was a plus for customers. From the very outset, Alpina’s claim was to unite performance and everyday use in its road vehicles. The modern myth of the 02 was also co-written by Alpina. If we step back into the present, we can see the enduring fascination with these cars reflected in the price tags for 2002 ti’s in good condition. This car seems to have maintained a loyal fan-base, which only continues to expand. Oh yeah, and one more thing: a boilermaker is generally defined as a beer and a schnapps, which is a perfect combination for some. 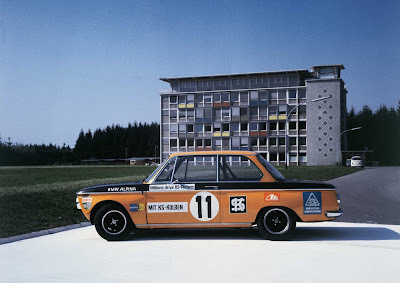 So if you think of a sedan like the well-rounded and sporty BMW 2002 as a beer, then Alpina adds the schnapps to the mix. 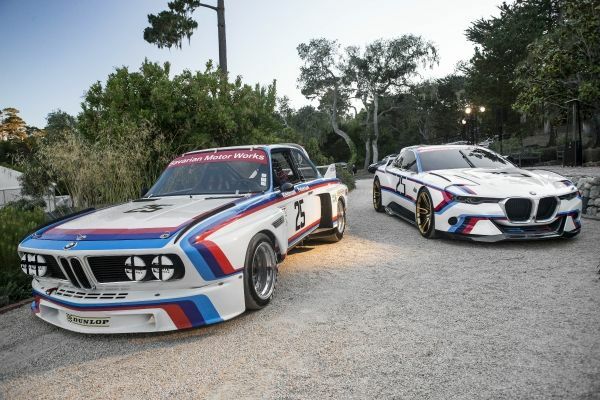 This may be a lame comparison and maybe we shouldn’t compare cars, of all things, with alcoholic beverages, but the combination of the best of both worlds adds up to a dream car that continues to impress.